DBS is the most attractive Singapore bank on dividend yield, Daiwa said in a note on Tuesday. It noted that DBS raised its structural core annual divided to S$1.20 a share, double the level in 2015 and 2016. ”None of its peers came close to matching this, hence DBS is undergoing a well-deserved rerating, in our view,” Daiwa said. It pointed to “industry-leading” earnings per share (EPS) growth at three-year core-EPS compound annual growth rate (CAGR) of 19.5 percent and industry high dividend yields at 4.2-5.1 percent for 2018-20 and a S$1.10 a share final and special dividend for 2017. It raised its 2019-20 dividend per share estimates by 4-7 percent to the equivalent of a payout ratio of 50-51 percent, adding it believe this was sustainable relative to underlying earnings growth and capital ratios. Daiwa kept the bank at Outperform, and raised the target price to S$30.00 from S$28.10. However, Daiwa noted that its top Singapore bank pick remained UOB, which it rates at Outperform with a S$27.30 target price, citing its defensiveness and better risk-reward profile. Daiwa also pointed to three key risks for DBS: Firsty, EPS growth, especially for 2018, may come in below expectations as interest rates remain persistently low. Finally, it said that raising dividends amid strong earnings growth and return on equity (ROE) prospects was generally against economic theory and might be “suboptimal” for shareholders. 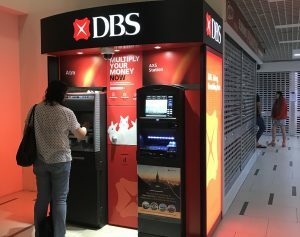 DBS shares added 1.81 percent to S$29.18 by 11:06 A.M. SGT; with sell volume at that level, the stock may find resistance at the day’s high at S$29.19. 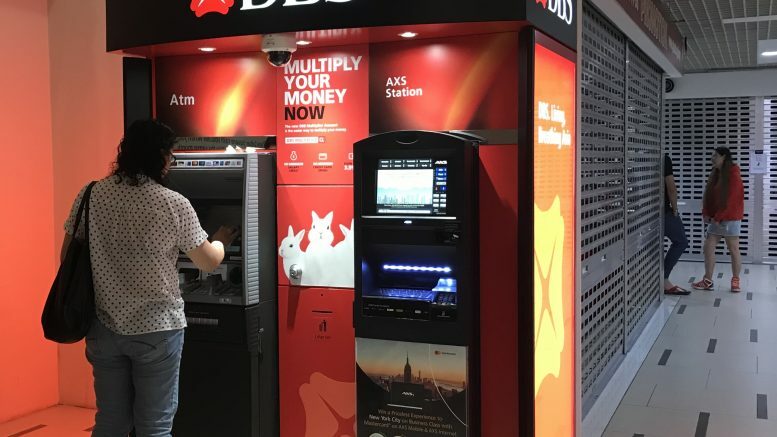 On OCBC, Daiwa noted that its dividend was “arguably the most disappointing,” with a mere 1 Singapore cent increase to the final dividend to 18 Singapore cents.